The Sac County Fair is fast approaching and there are plenty of equine and non-equine things to see! The fair is great for families, with lots of activities for kids! Â Everyday there will be horse activities. Â The open show in multiple disciplines run Thursday through Sunday and on Monday is a RSNC-sanctioned Ranch Sorting. Come out and support your local 4-H, FFA, Grange, and Independent youth while they show their horses in a variety of events. There is also an open Ranch Sorting competition on Monday 27th starting at 9:00 am in the Rodeo arena. Â For more information on the Ranch Sorting, see below the Sac County Fair Poster. 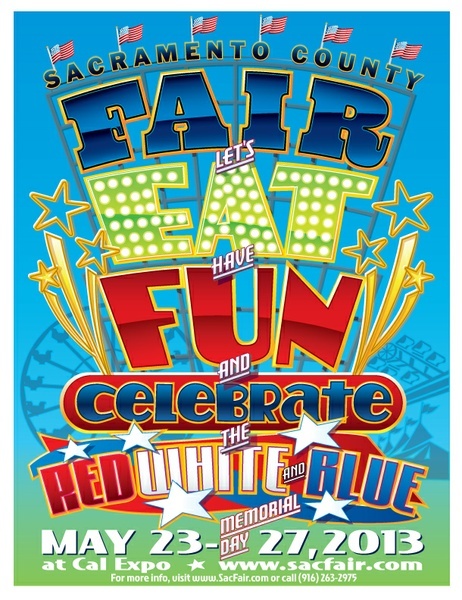 Check out the Sacramento County Fair’s Website. All Other Classes: Trophy Buckle to High Point Winner! Trophy Stirrups to 2nd High Point Winner! Trophy Saddle Pad to 3rd High Point Winner!